Earlier this evening I was cruising through the latest additions on HappyPenguin.org (Linux gaming website) when I stumbled across JVGS. Its a nifty little platform based game that is loosely based on XKCD webcomic. Its a newer game so it wasn't in the Ubuntu repositories yet. Not a problem, I've compiled more than my share of programs from source before. I download the source code in your standard .tar.gz package format, extract the contents, and open the README file in gedit. Fairly straight forward compile, grab the listed dependencies using apt-get, run cmake, and then make to build the package. JVGS is not a graphically heavy game, I wanted to install it on my netbook to kill some time in-between my classes at school. I figured it would take a short bit to compile on my little Atom chip, so I run the make command and head off to do some other work for a little while. Ten minutes later I return to my netbook screen to see the compile has failed with several error messages. Why should I have too? Why should installing/using a piece of open source software be more painful on a open source operating system then it is on a proprietary operating system? Am I asking for too much here to want an equally easy install experience on Linux for FOSS software as I enjoy on Windows? If Linux is ever to gain any sort of real market share in the desktop market I feel this is some thing that must happen. But maybe I am wrong. What do you think? I'm going to add this on here since it appears many people have missed my main point here which is simply this: Why is it that FOSS developers tend to compile Windows binaries but they rarely (if ever) compile Linux binaries (.rpm, .deb, .bin, I'll take any of the above)? I understand that this is fully the developer's responsibility, but as I said before it seems to be a common trend. Also I'd like to mention I am in no way saying having to compile from source bad I am simply saying it should not be the only install option for Unix operating systems. There is no denying the fact that we have become a touch-centric society in regards to our technology. Thanks to the "iPhone standard" every new handheld device better sport at least some form of touch screen if it expects to compete with the competition. Where is our technology headed though? With the idea of "bigger is better" in mind: if a 3.5~ inch touch screen is good a larger screen must better right? Apple announced their "iPad" earlier this year. With the iPad apparently set to fail to satisfy our touch-technology needs from the start: Where is one to turn when looking for a tablet computer in 2010? 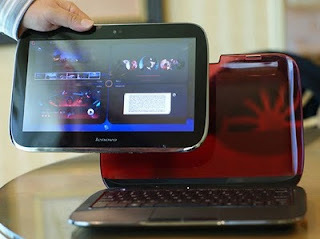 There is of course long term contender in the tablet PC market the touch screen laptop. At this point such devices, while functional, are far from being anything "special" or "revolutionary". Slightly more recent is the hybrid of last year's craze the netbook and what is bound to be a theme for this year the tablet computer found in Asus's EEE T91. Next: Enter the latest addition to the touchscreen devices set to da-beau in 2010: MeeGo. In a joint effort between the Intel and Nokia companies. MeeGo, a Linux based operating system, is going to be targeted at both ARM and x86 based devices (despite the former of the two not being made by Intel). 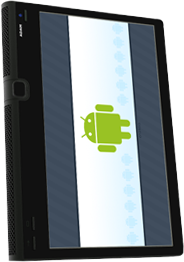 While MeeGo is still in the very preliminary stages of development, other Linux-based touchscreen-orientated operating systems, such as Android and Maemo, have shown us that the Linux platform is more than capable of functioning on such devices in an elegant manner. With backing from such large companies MeeGo is going to be hard-pressed to not get at least some publicity. While it isn't official which operating system will be shipping with the device when it finally goes to market - there is a tech demo video of the device, found here, running what is said to be "a wrapper around Android". Other mentioned operating systems that might be possible to run on the device include Google's Chrome OS and Ubuntu ARM. The U1 is two computers in one. In addition to being a fully functional 11.6 inch touchscreen laptop sporting an Intel Core 2 processor, two gigs of RAM, and a 128gig SDD the U1's touchscreen is detachable. When detached from the computer the tablet-screen contains it's own 1ghz snapdragon ARM processor, RAM, and 16gig SSD. When in "laptop" mode the system by default runs Windows 7 and when the screen is detached the tablet-screen runs Lenovo's Skylight Linux. Both computers contain their own batteries (which are each rated at five hours duration), and each of the computers are fully functional without the other (if you hook the laptop base up to an external monitor of course, because naturally while tablet-screen is detached the laptop is missing it's screen). Needless to say there is not going to be any lack of tablet computers on the market in 2010. Another point I feel worth noting is that a majority of the devices listed here are running various forms of Linux (Just like many of the smart phones being released recently). So while 2010 might not end up being the year of "desktop" Linux, with the flood of penguin-powered touch screen devices it may still be the year Linux makes it's way into countless homes. I have just highlighted some of the top competitors for upcoming tablet computers I have come across/researched thus far. Know of any other upcoming tablet computer releases (or perhaps one that is already released)? Drop a comment to let me know about it. I've been an Ubuntu fan for some time now. No matter which distro I tried, I always found it lacked some feature or another and I eventually made my way back to Ubuntu. Then I found Mint. Linux Mint is a derivative of Ubuntu which is a derivative of Debian (Debian' = Ubuntu and Ubuntu' = Linux Mint). Why use a derivative of Ubuntu (or Debian for that matter) instead of just using the original product? Simple: The derivative is better. 1.) The System Menu - Mint's menu is based off of the Ubuntu System Panel. It gives a menu that is similar to a KDE style menu in the Gnome desktop. 3.) Default Software - I like Mint's choices of default software. It contains OpenOffice and Firefox, like most distributions, but beyond this it is still shipping with Pidgin as the default IM client, Mozilla's Thunderbird for email, and XChat for IRC communication. 4.) Media Codecs, Flash, and Java by Default - This has to be one of my favorite things about Mint. With a fresh install (or off the live CD), Mint will play just about any media format you can throw at it, stream youtube (or hulu) videos, and run any java application you might have laying around. 5.) 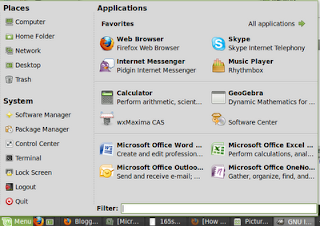 Default Theme - Mint's green skin is much nicer to look at as opposed to Ubuntu's brown/orange layout. Personally, I feel there is very little reason not to use Mint over Ubuntu. Why do I say this? In addition to all of my above reasons, Mint stays on a very close release cycle to that of it's parent distro, meaning it is able to stay fully backwards compatible with all Ubuntu packages (For instance, Mint 8 equates to Ubuntu 9.10 and Mint 7 equates to Ubuntu 9.04 ect.). Do you have any reasons I did not list here for choosing Mint over Ubuntu? If so, feel free to share. I have very basic AT&T DSL at my current place of residence. Late last month when I tried to sign online my browser was promptly redirected to an AT&T webpage informing me that the master account password for the DSL had been updated and I needed to enter the new information. I rent, I don't own - the DSL is in my landlord's name. I promptly gave her a phone call and within a few moments my landlord and I were on a three-way phone call with AT&T tech support trying to get it sorted out. Yes, my computer is on. Yes, my modem is turned on. Yes, my modem's internet light is green. Yes, my computer is connected to router properly. Then they asked the question that all tech support are bound to ask "What operating system are you running?" Before I could say anything my landlord chimed in with "I think he uses Linux or something like that." Well, so much for avoiding that bomb shell. The tech operator's next words could have been scripted "Odds are that is the issue, do you have access to a computer with a Windows-based operating system?" 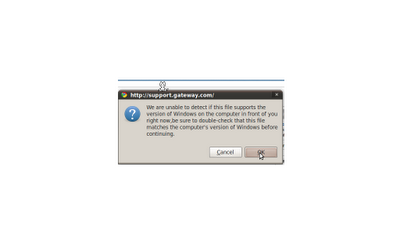 I sighed a bit under my breath "The exact same issue is present on Windows 7 and XP - its something on your end." He then wanted to walk me through checking my router settings, but not before he said "To log into your router you will need to boot into Windows and load Internet Explorer." I rolled my eyes and promptly clicked on the Google Chrome launcher on my Gnome panel and logged into my router, checking all the settings he listed off to me (they where all set correctly). In the end it ended up being an issue on AT&T's end (after all I was still online it was just redirecting any pages I tried to view to AT&T's website). A couple days later and some paper work later needless to say my internet was back online - Linux and otherwise. It just irks me greatly that companies always try to blame a third party when their own equipment is not functioning properly. Anyone else ever have a similar experience? I am a full time student, one of the primary uses of my computers thusly is for school work. At any given point I typically have my netbook (which runs Ubuntu) and my phone (which runs Maemo) with me. Having and using these devices in the public on a daily basis has made me realize that there is a right way and a wrong way to promote Linux to those who are unfamiliar with it. What is the right way to promote Linux you ask? In two different instances this past week I've found people are more interested in stimulating a conversation about the operating system if you let them ask the questions - don't force information on someone they very well might not want or even care about. "What? You want me to double check the numbers?" "No, not the math. Your window, when you moved it - what did it do?" "What version of Windows is that? Its pretty neat." "Oh, never heard of that before. How much did that cost?" "Free? Really? What can it do?" "Oh, you know everything you expect a computer to do. Type a paper, surf the internet, solve math equations, play games..."
He then asked where he could get it from, I gave him the web address and told him if he had any questions about it he could feel free to ask me next week at class. This is the right way to get someone interested in something. You don't force it down their throat or rant and rave about how it is better than something they are already using. People are often comfortable with things they find familiar and they are naturally resistant to change. Many users (myself included) find themselves over excited when they first discover the world of choices that open source presents them. As such I think they feel it is their "duty" to make others "see the light" and "convert" to this new way. Even though they do not mean to - this attitude hurts the image of the FOSS/Linux community and is where the negative term "Linux Zealot" comes from. In closing, if you feel you must make the general public aware of Linux remember this: mention - don't preach.